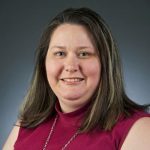 Rebekah Burns of Ink & Owl Bookkeeping Co. has nearly fifteen years of experience in bookkeeping and data analysis. Her expertise includes finance, regulation compliance, data analysis, and tax services. She helps create new systems and does troubleshooting and improvements for existing ones. Company Ink & Owl Bookkeeping Co.
Work For Ink & Owl Bookkeeping Co.? Claim This Page.